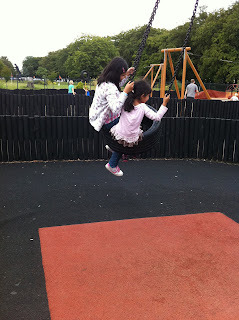 My children love those kind of swing too. I feel sick just watching them! Watching children playing is a real pleasure, all innocence and happiness, seems like the world stop turning for a couple of seconds.